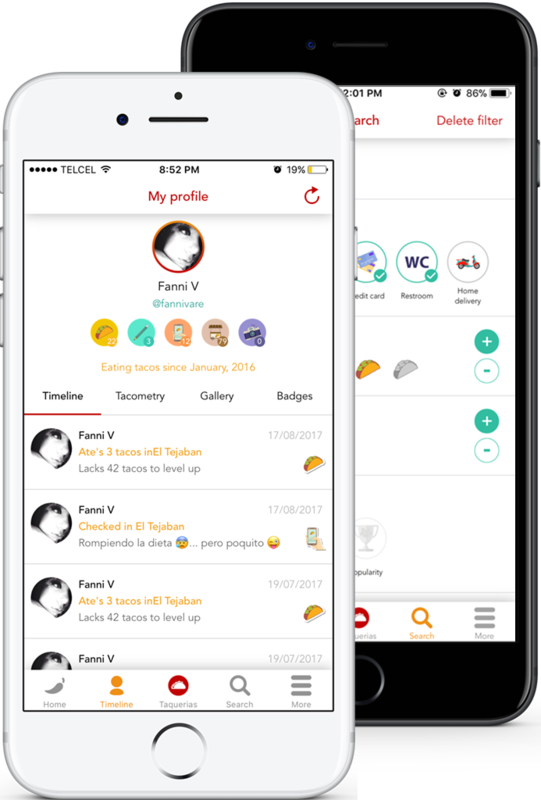 The first app to find ta­cos a­round you. made by and for ta­co lo­vers. all taco lovers with the best and closest taquerias. Our only goal besides eating tacos, is to approach you to the best taquerias in your town and on the way you get to see the tips and reviews so you know what to order. Your favorite taqueria is not on the app? Don’t worry, you can add it yourself. 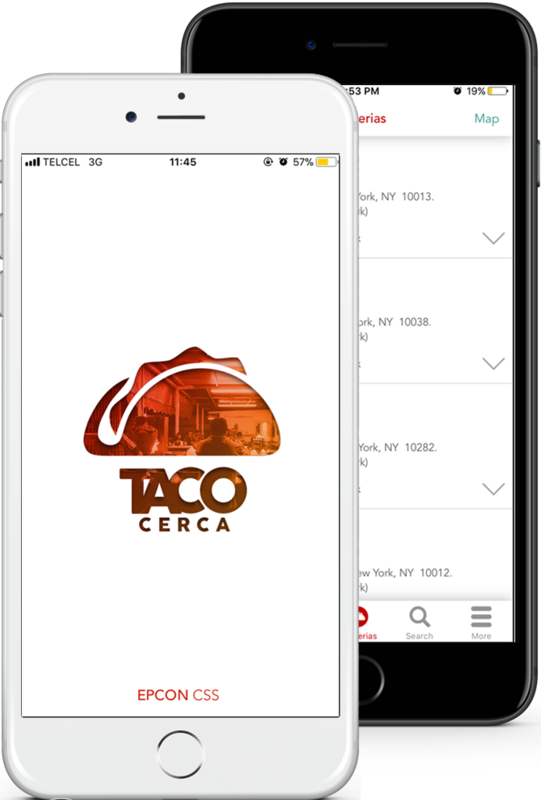 Using TacoCerca is as simple as ordering tacos, you only need to download it totally free, and in about seconds you’ll be finding taquerias around you. Are you a true taco lover? Go ahead, login and you’ll be able to upload photos, review taquerias, check-in, share on social networks, win badges and more.  Find all taquerias in their exact location. All the info you need before you order. 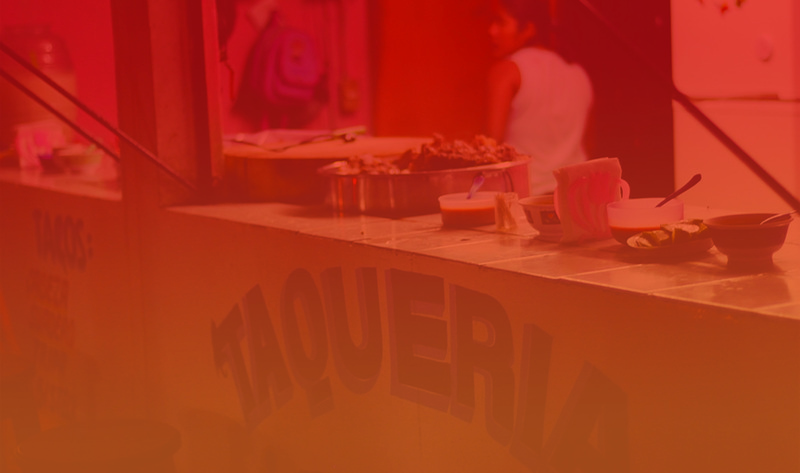 Rate taquerias through reviews, photos and more. Closest taquerias listing; always updated and available. Find the taco or service you need in two movements. 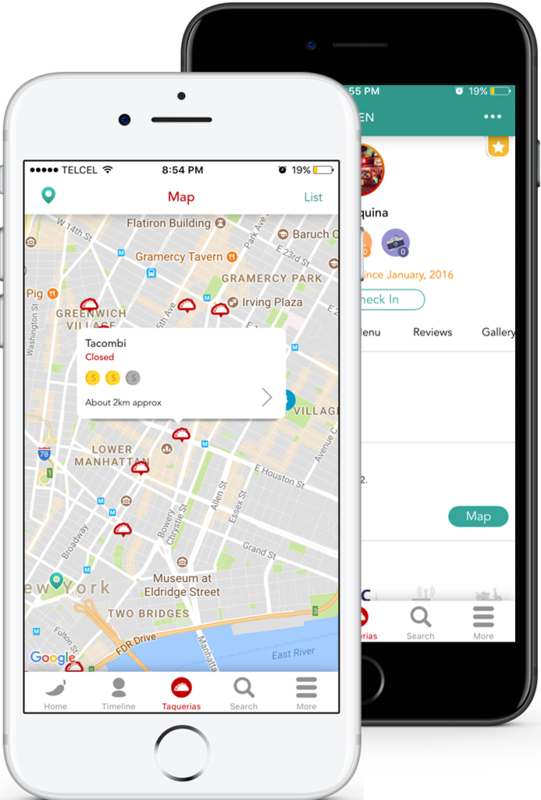 Check-in while visiting any taqueria and share it on your social networks. 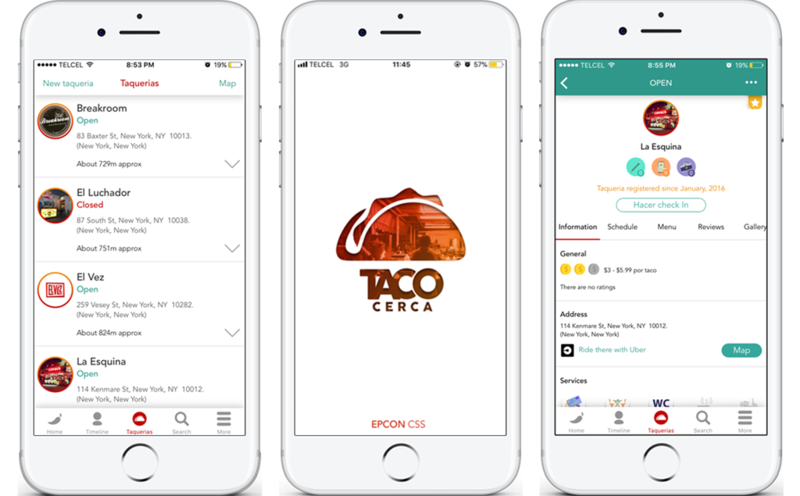 All taquerias in Mexico and USA in your smartphone. 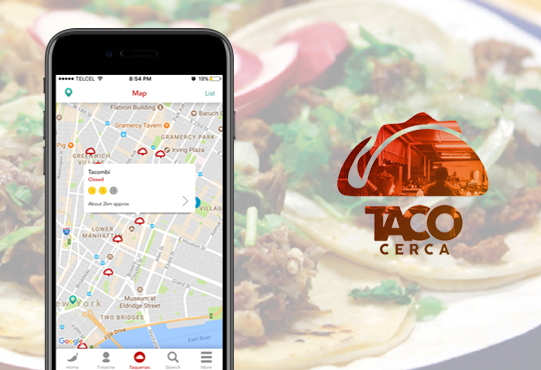 You can't find your favorite taqueria in TacoCerca? Add it, is free! Are you the greatest taco lover? Everytime you use TacoCerca you can reach new levels. to use in all Me­xi­co and the U­ni­ted Sta­tes! 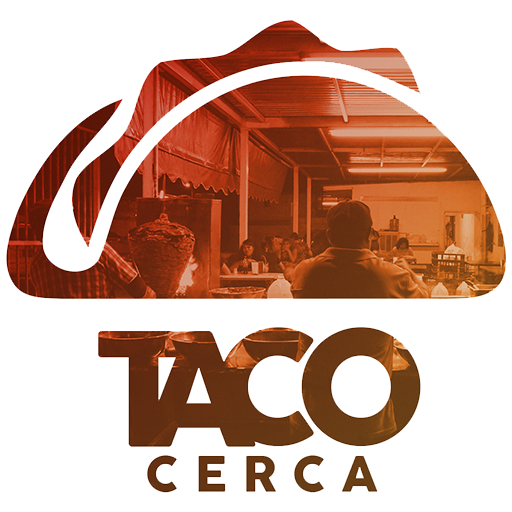 Register it on TacoCerca and be part of the taco lover community. Would you like to be part of the largest taco lover community in the world? Leave us your information here so we get in touch with you. Get it now and eat ta­cos! TacoCerca ® 2016 All Rights Reserved.